Nintendo announced at E3 last week that it had a free-to-play game up its sleeve, but the only hints it gave was that it neither belong to the Mario or Pokemon series. 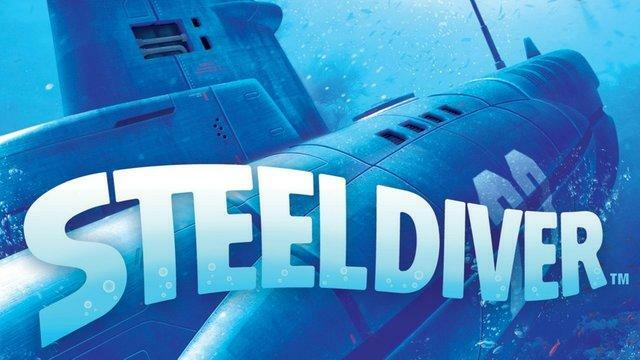 Speculation ran rampant, but all that can be put to rest now because Nintendo has announced the game to be another Steel Diver. I think I can speak for most Nintendo fans when I say "At last…"
Steel Diver was one of the America launch titles for the Nintendo 3DS, and it features touch screen naval battles between submarines. Nintendo's Shigeru Miyamoto, who described the original as "almost like you have your own submarine pet in an aquarium," made the announcement of the new Steel Diver shortly after E3 with IGN. "There is something we're doing with the Steel Diver idea that I think is going to open things up with that game… It's going to be very fun. We're exploring from a perspective of where we can take that from a multiplayer standpoint – it's going to have this four-player battle mode that I think is going to be very interesting." Seeing as this is Nintendo's first attempt at free-to-play, Miyamoto claimed that the team is working hard to balance pricing with entertainment. Some might scratch their heads over Nintendo using one of its newest and not so well received franchises as a model for future free-to-play projects, but if you think about it, it's a good decision. Why bother screwing up one of your best franchises when you can break your teeth on something nobody really cares much about? Miyamoto has made no mention as to whether the game will be a 3DS or Wii U title, or both for that matter. Any interest in a new Steel Diver? I never played the first one, so I can only go off of the general ho-hum attitude most have towards it.